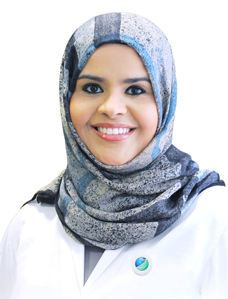 Dr. Entesar is a Consultant Pediatrics Nephrologist for Dubai Hospital and is part of the medical team that provides DHA Pediatrics Nephrology services - extending these services to the Northern Emirates as well. Dr. Entesar obtained her MBBS degree from Jordan University of Science and Technology in Jordan and has done pediatrics residency in Dalhousie University in Halifax, Canada. 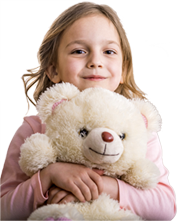 She later obtained certifications from both the American and Canadian board of Pediatrics in 2008 and 2009. She also completed her training in Pediatrics Nephrology at University of Toronto, Canada and obtained certification from the Canadian board of Pediatrics Nephrology in 2010. She has also served as a lecturer and examiner for the Medical School in Sharjah University 2010-2012 and currently holds the same position in Dubai Medical College. Dr. Entesar is currently the Head of Pediatrics Nephrology in Dubai Hospital and the Director of Pediatrics for the DHA’s residency program. She is a member of several Pediatrics and Pediatrics Nephrology boards nationally and internationally. Dr. Entesar’s key medical expertise include Hemodialysis for children; Peritoneal dialysis for children; Chronic kidney failure; Acute Kidney failure; Nephrotic syndrome; Post kidney transplant care and follow up Poly cystic kidney disease; Hypertension in children and Hydronephrosis.